Welcome to The Travellers Best! A Family-Friendly Website for Everyone! Register now to gain access to most of the Travellers Best forums. Once registered and logged in, you will be able to create topics, post replies to existing topics, give reputation to other members, get your own private messenger, post status updates, manage your profile and so much more. This ugly looking message disappears once you have signed in. Is it morally permissible to plunder a drunken player at the poker table? In a game of bluffing, are all deceits acceptable? Is it wrong to play against a pathological gambler? Are there any real right and wrongs within poker other than violations of the rules? 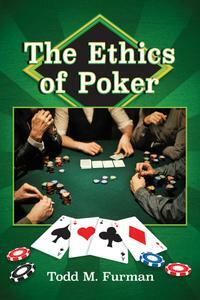 The first of its kind, this book explores the moral dimensions of playing poker for money in a detailed discussion of applied ethics. Please help us pay the costs of hosting by donating between $2 - $5 dollars. Very few people do, and it would help immensely if more people did. It's the price of one cup of coffee is all we ask, and it helps us keep this forum online and advertisement free. Many thanks to those who donated!! DISCLAIMER None of the files shown here are hosted or transmitted by this server. The links are provided solely by this site's users. The administrators of this site (thetravellerest.com) cannot be held responsible for what its users post, or any other actions of its users. You may not use this site to distribute or download any material when you do not have the legal rights to do so. It is your own responsibility to adhere to these terms. If you have any doubts about legality of content or you have another suspicions, feel free to contact us directly by email. Bad Behavior has blocked 708 access attempts in the last 7 days.